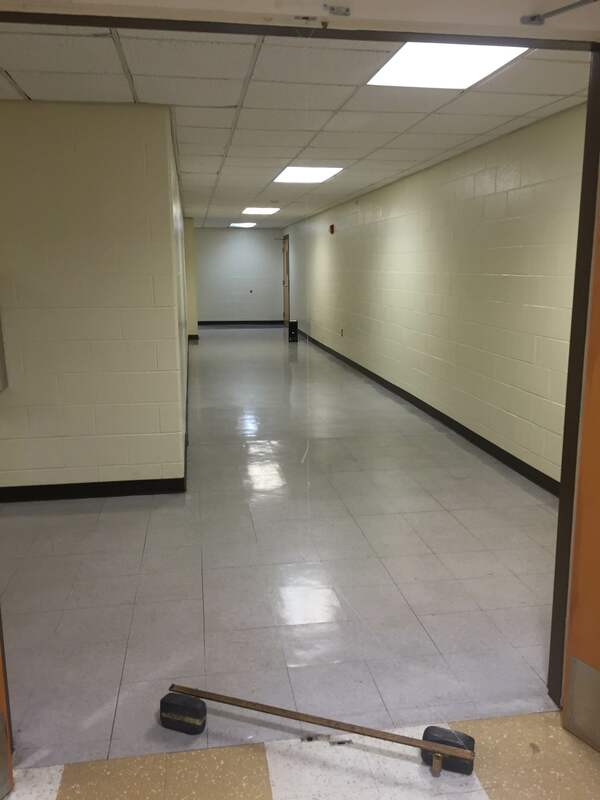 October 2015 – Teach. Brian. Teach. In our ongoing pilot of revised algebra-based physics curriculum, we have been trying to get away from worked examples. See, in the old curriculum, everyday the instructor showed a worked example of whatever topic students were learning about. Then students would work collaboratively on similar problems (“white-boarding”). Most of you are probably aware of the pitfalls of this–students copy what you do and try to emulate exactly what you did on their problem. The result is this: If the problems students get are superficially similar enough to yours, most can do it. If the problems are not superficially similar, many students will flounder. The issue at hand is that problem-solving is not learned via “monkey see, monkey do”. However, by teaching problem-solving this way, we give students a false impression that it is. When students were adopting this view of problem-solving, it was our own fault really. We were the ones that were organizing our classroom to make it seem like problem-solving should be learned via, “monkey see, monkey do”. Then, if needed, carefully model a specific skill involved in problem-solving (e.g., we carefully modeled how to find the torque do to different forces about a pivot, emphasizing how to make good diagrams and tables to organize one’s work). This is most like doing worked examples. Immediately after modeling the skill, provide students with multiple and varied practice with the skill (e.g., students worked mini-whiteboard problems that involved calculating torque for different scenarios.) This part is mostly “monkey see, monkey do”. Students try to closely follow what you did, but that’s OK, because that’s the point right now. But then, give them problems to solve that embed that skill without ever explicitly showing them an example of how to work those problems (e.g., students had several problems of varied difficulty finding the angular acceleration of objects). At this point, students have to figure out how to solve the problems and how to make use of the new skill. With this particular example of torque and angular acceleration, we also had demos and clicker question discussions around moment of inertia and Newton’s 2nd Law of rotation. We reasoned with the ideas, but didn’t do any formal calculations. I know that this is certainly not the ideal model for inquiry learning… that is, students in our class are not doing a lot of discovering or inventing. In our class, they are encountering. Our constraints and pacing make it difficult to invest the time in having students deeply explore a phenomena in ways that allow discovery and invention. However, this method is working a lot better than doing worked examples of problems. The reason why I suspect is that certain skills (like finding torque) benefit from following carefully the moves of an expert. Problem-solving however is not about “following”… it’s about “figuring”. We’ve been giving students practice in following along when its helpful, but leaving them to figure things out when that’s what needs to be learned. Striking the right balance between letting them “follow” and encouraging them to “figure” isn’t always easy. Some days we’ve done a great job. Other day, it wasn’t quite right. All and all, though, it’s been a good experience to see our students figure their way through problems, rather than trying to emulate their way through problems. The good part of the skill modeling and practice we do has been that students enter the problem-solving phase not “frustrated novices”. They aren’t perfect at the skills yet, but they’ve gotten enough practice that they can focus their thinking on the “figuring” of the problem, with some confidence that they know how to use the skills well enough. So far, how we have managed to keep it coherent is through gravitation. After circular motion, we went into the Universal Law of Gravitation. As I’ve blogged about, we spent a fair amount of time talking about the Cavendish experiment. 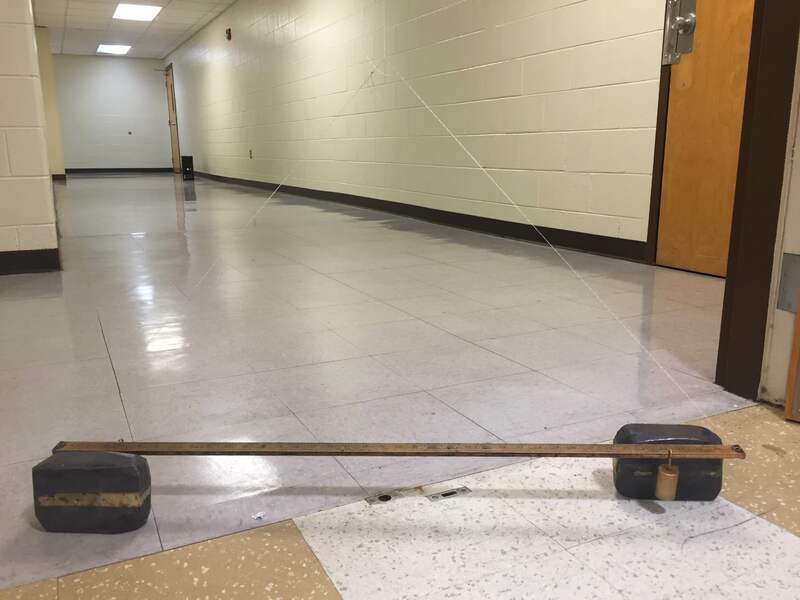 Armed with the Universal Law of Gravitation, students worked a problem in class to calculate the mass of the sun. It’s a pretty cool calculation to work, because all you need to know is the length of the year and the distance to the sun. We give students the mass of the earth (so groups can approach it through piece-wise calculations), although many students realize they don’t need it. Then, angular kinematics, torque, and Newtons’ 2nd Law for Rotation culminated in us returning to the cavendish experiment Students had a challenge problem of calculating how much angular acceleration the rod would experience. This forced them to draw upon their knowledge of universal gravitation and angular dynamics. We then used angular kinematics, estimating how long it should take the rod to turn (~.06 radian), using the not quite correct assumption that the angular acceleration is constant. We get a good estimate, of 10-11 minutes. Although I’ve experienced it as a coherent, I know enough to know that doesn’t necessarily mean the students have. 3. A roller coaster passing through top of loop. Anyway, I really let groups discuss these questions. On first one, our first hurdle concerned forces in direction of motion. That wasn’t too difficult because it’s an issue we’ve wrestled with in 1D, but definitely had a fair share of students picking those as their initial response. 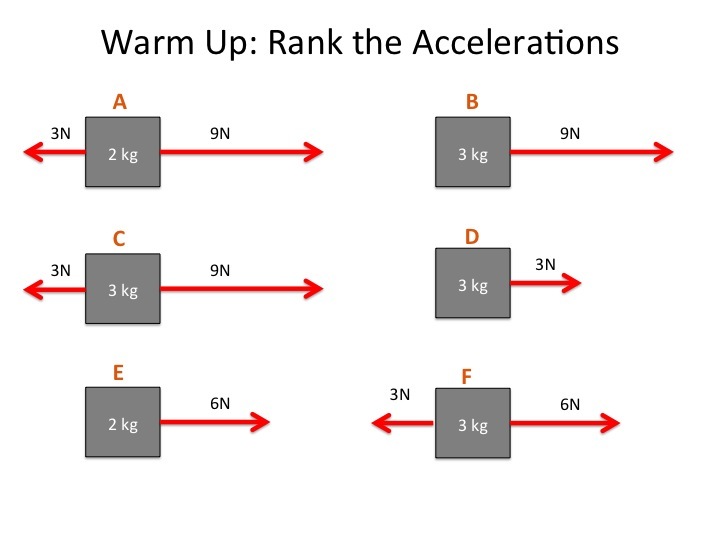 Even though students argued well that since we know acceleration is inward the net force must be inward, there was a big contingent unconvinced. This is where having quantitative demo would help, but only after getting arguments on table. Mostly they were unconvinced because of wanting their to be a stronger downward force. What was convincing to many is the idea that you would be worried about breaking the string if you had a lot of velocity. Having higher velocity causes greater tension, and the greater tension would break the string. I tried to connect this idea to, it’s because of the greater tension force upward, that the pendulum gets turned upward. The cresting hill was not made easier just because of the insight with the previous one. While many still argued that Fnet must point toward center, meaning weight was larger than normal; a still strong contingent still argued for upward force being larger. It took several arguments to clear this up: first realizing that the sensation of car going up was not a force. Before cresting hill, there was some upward velocity (even liquid in your belly might still be going up! as you crest the hill). But real crux was figuring out what made the normal force decrease–it was this upward motion that caused car to “almost leave the ground” and therefore press less into the ground. Since you are less pressed into the ground, the normal force goes down. We contrasted this with hitting bottom of hill, the cars downward motion before hitting bottom would lead to tires pressing hard into ground. In this question, the hold out contingency was crucial because it forced arguments to be clarified and for counter arguments to be addressed. It also forced us to ask, “How did that happen” not just “it must be true”. By talking about moments leading up to cresting and bottoming, we were attending to mechanism by which normal force could increase or decreases. After all that, I wish we had gone to solve one or more problems around those clicker questions. But our agenda has us pivoting to orbits and gravity. It wasn’t too bad of a pivot ending the last question talking about projectiles. But still, I want to use clicker questions to motivate problem-solving more. Overall, One thing that was nice during these discussion was that students were listening and responding to each other rather than just saying what they thought. It helped that I asked for people to state whether they agree or disagree and with whom. Students responded by often saying why they agree, which doesn’t always happen. I also asked students to not only tell me the right one, but to tell me one you know is wrong and why. That’s a lower barrier to entry. You don’t have to know right answer to contribute. Often this leads students who picked that one to speak up. Last thing I did was push for students who changed their mind to say why they did. What were you thinking at first? What did you hear that convinced you other wise? I still don’t have all students engaged in whole class discussion. About a third of class contributes 90% of the whole class chatter. Most students engage in small groups as contributors. I need to think of how to pull more students in. In my last post, I was writing about students who are not following the standard algorithms as presented by our textbook, but still trying to solve forces problems in ways that make sense to them. 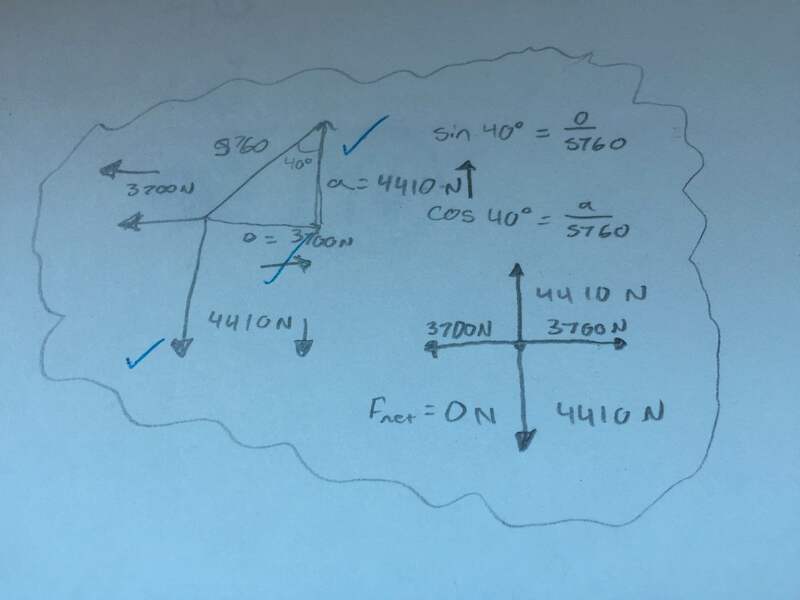 One pattern of their work I talked about in that post was how these students don’t typically write out component using Fy = F sin(θ) and Fx = F cos(θ). Here are some examples of how students solve problems without doing this to the following problem. Here is an approach by a student who began with the standard approach, summing the forces in both the x and y directions. After summing the forces in the y-direction, you can see the student concluding that T_By = 4500, which is correct. The vertical component of Tb has to hold the weight. For the vertical direction, the student uses tangent to relate 4,500 N Vertical component of tension, to the horizontal component of tension. Then to find the magnitude of the tension, they use the Pythogorean Theorem. Note: The “standard” solution would have written T_By and T_Bx in terms of cosine and sine and directly solved for magnitude of the Tension, and only considered the value of components implicitly. This student solved for each of the components explicitly and combined them to find the magnitude. Another approach using a combination of trig and Pythagorean theorem. This approach also uses a combination of cosine and sine, but they never explicitly write an algebraic sum of forces statement. Because of this, you might be tempted to think that this student is just cobbling together random math in the hopes that it will work out. That was certainly my first response. But these concerns are largely gone once you see the image and how the student checks their work to show that the forces do in fact sum to zero. I actually think the work they did to check their work shows sophistication, and is better evidence of sense-making them someone who just writes down the standard algorithm. Last night in LA seminar, we did my “Two Approaches to Learning Physics / CLASS Survey” lesson, which I’ve described here and here. This is one of the few lessons for the LA course that I’ve completely developed from scratch-rather than adopting, adapting, etc. The basic gist is that students read David Hammer’s “Two Approaches to Learning Physics” in TPT. This paper describes two students -Liza and Ellen-who approach learning physics differently. In class, we categorize survey statements from the CLASS to decide whether it’s a statement that Liza would agree to or whether its a statement that Ellen would agree to, or both, or neither. Ahead of time, I color code the statements (red, green, and black), for red is statements that experts disagree with, green is statements that experts agree with, and black is statements that there is no expert consensus for. The statements are on big 8×11 papers that we tape to a huge Venn Diagram made on the front whiteboard. Students fill the Venn Diagram as we go. This year, after small group work, I had students do gallery walk over the large Venn Diagram and *star* any statements that they would have placed somewhere differently. This made the whole-class discussion much more meaningful than last year. While we talked about where to place the statements, we had a lot of conversations about who students think they are more like, whether it’s better to be a Liza or an Ellen, about how it might be best to draw from both Ellen and Liza, about whether people start off as Liza and become more Ellen, about why Ellen is more expert like (but maybe less likely to succeed), about why courses tend to create more Lizas. We also had conversations about talking about Liza in a positive light, describing her as goal oriented, organized, aware of what needs to be done to succeed, rather than simply, “not interested in understanding”, “only cares about grades”. These conversations, of course, is the goal of the activity–not to decide where the pieces of paper go, but to reflect on how and why students approach physics differently. This year, after discussion, Ellen was almost all “green” statements, Liza was almost all “red” statements. “Black” statements were mixed. Most black statements we ended up throwing out as “indeterminate”–that is we can’t say whether Liza or Ellen would agree or disagree without more information about them. I don’t tell students what the colors mean until the end. Class this year ended with me showing and talking students graphs from various CLASS research showing that students’ learning correlates (from FCI) with CLASS scores; and graphs that show that a typical outcome is that students attitudes worsen. Students are generally interested in this and have questions, but next year I want to have students take CLASS before coming to class to save those 15 minutes. Then do a JigSaw with the research graphs, instead of presenting to the students. This comes from several students I’ve observed recently, both in class and in office hours. 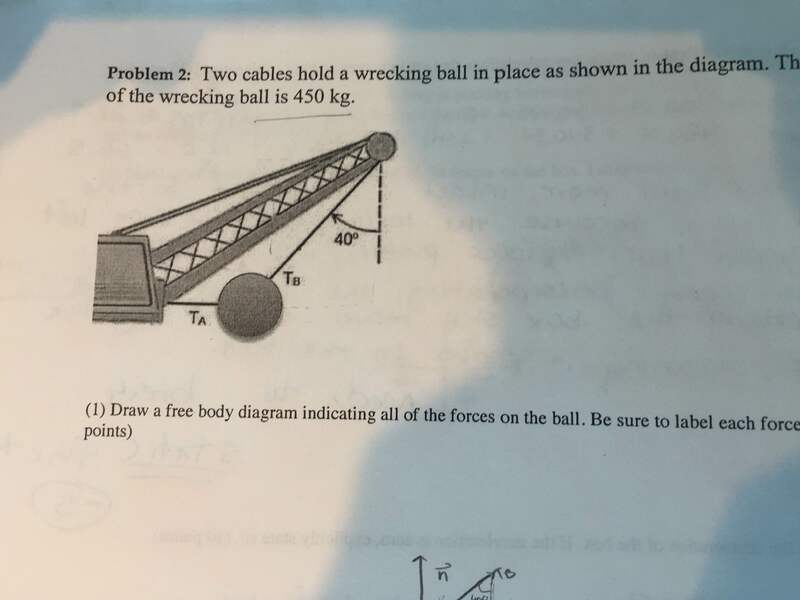 For example, consider a problem where one force has components in both directions: A ball with weight 4N is held by two strings. One string is held horizontal, and another string is angled at 60 degrees (from horizontal). Reason that the upward component of tension (opposite side of the tension triangle) = 5N (to hold the weight). Draw 5N on the triangle. They aren’t always explicit about all of these steps as I am being, but it’s the general flow. This is especially true when they don’t have a value for T2. If they had a value for T2, they would. Basically, students problem-solving strategies involve calculating in steps things that you can, rather than writing out algebraic relationships. They use cosine and sine to solve for numerical unknowns sides of the triangle. They were able to reason about what the “opposite” value of their needs to be (5N), and then knowing the opposite and the angle, used sine to solve for hypotenuse. Using the standard algorithm, we also have a tendency to go “straight” for the Tension, without calculating either component explicitly. We leverage the algebraic relationships. Sometimes, they forget to find the hypotenuse after finding the opposite side. This is even the case when students are super explicit that 5N is just the vertical component (or opposite side of their tension triangle). 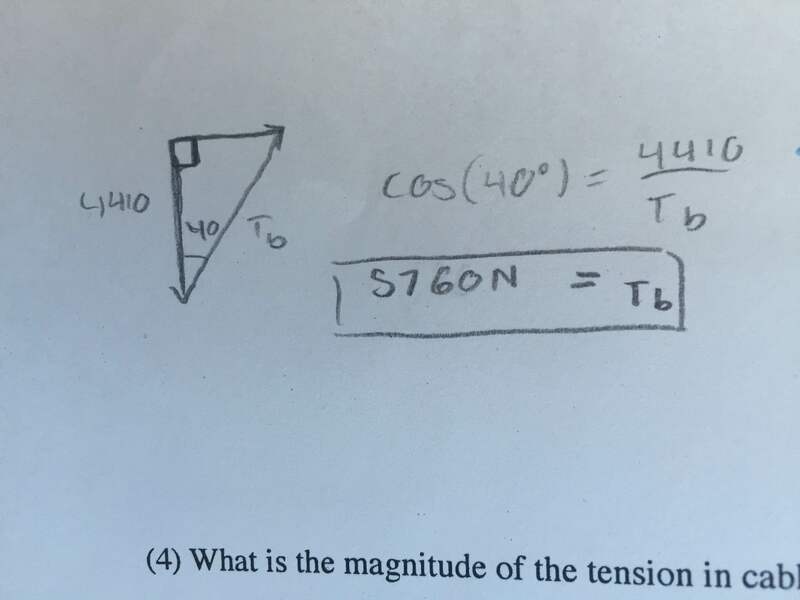 They seem prone to forget that this 5N is not the total tension (hypotenuse), and will proceed to step 4 as if 5N was the hypotenuse of the triangle. And so will do things like 5N*cos(60) to solve for the horizontal component. I’m thinking hard about how I can do a better job of “building” on students’ problem-solving approaches, which I’ll describe as “step-wise numerical”. For me, there are some “instructional tensions” here: The textbook teaches the more standard algorithm. Even tutoring my students receive (from free from library or paid outside tutors) tend to teach the standard algorithm. While we have lots of students who benefit from approaches that are not strictly algebraic, we do have some physics majors in our algebra-based physics course–often (but not always) these students are more adept at actually using and understanding the standard algorithm. In addition, future courses will also presume facility and familiarity with approaches that are algebraic (not step-wise numerical). How do we find a balance between “building on and refining students’ step-wise numerical approaches” vs. “providing opportunities to encounter and become proficient at algebraic approaches”? Consider that the result of algebraic approaches also gives opportunities for sense-making that you can’t readily do with numerical approaches. Mostly, sense-making involves thinking about how variables influence an outcome. For example, coming up we have some problems to work with circular motion (What’s the maximum speed a car can take a certain turn in rain)? 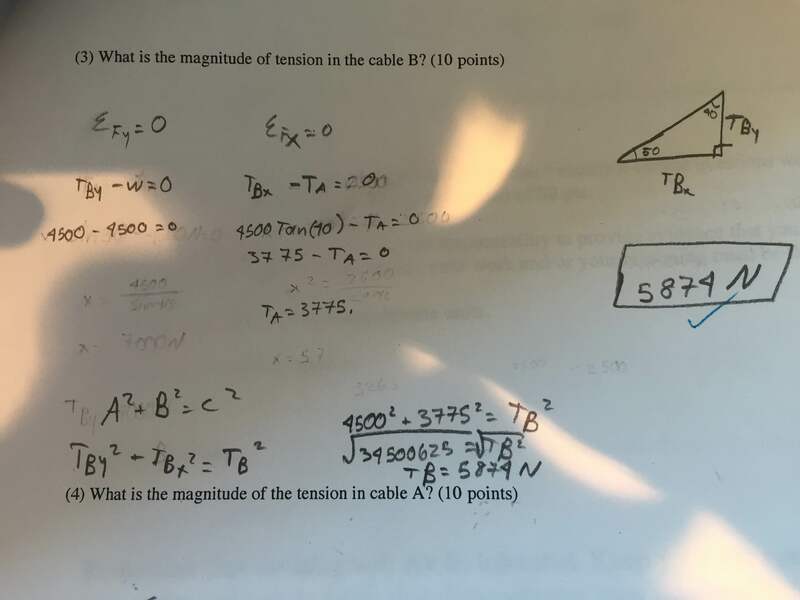 It’s one thing for a student to get an answer of 25 m/s, and have to ask is that reasonable (that’s about 55mph, and even though that seems too slow for normal conditions, it’s raining.)? This is the kind of sense-making I want my non-physics majors to have opportunities with. Physics majors, taking an algebra approach would get, v= sqrt(us* g * R). Their sense-making would be around making-sense of the fact that more “coefficient of friction” or “wider turn” would mean you could go faster, and their sense-making might be around why mass doesn’t effect the maximum speed. Both are valuable kinds of sense-making, but what’s an appropriate goal for whom weighs on me, and especially how to navigate these goals in a single class.